But, for business owners, the phrase “New Year’s resolutions” is just a different way of saying “strategic plans.” And these are nothing to scoff at. 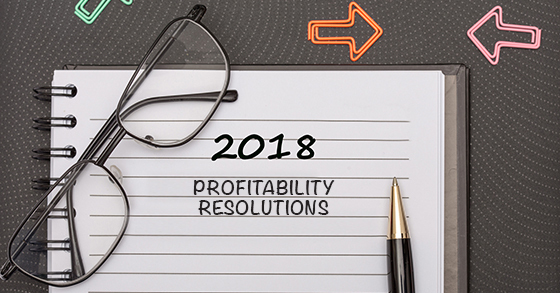 In fact, now is the perfect time to take a critical look at your company and make some earnest promises about improving profitability in 2018. Begin by asking some tough questions. For example: How satisfied are you with the status quo of your business? Are you happy with your profitability or had you anticipated a much stronger bottom line at this point in your company’s existence? If you were to sell tomorrow, would you get a fair return based on what you’ve invested in effort and money? If you have a few New Year’s resolutions in mind but aren’t sure how to implement these ideas or how financially feasible they might be, please contact our firm. We can work with you to identify areas of your business ready for change and help you attain a higher level of success next year.